Look no further for a timeless & charming story! Yes, I would recommend Caddie anyday! And while the main protagonist is a girl, there are enough other characters- including Caddie's brothers- to satisfy the whole family! 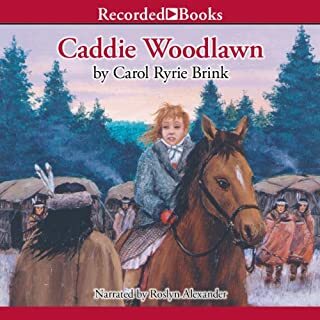 What other book might you compare Caddie Woodlawn to and why? The story takes place a long time ago, so for a similar feel, try Little Women or The Little House series! My daughter liked the fact that Caddie is a tomboy and that she had many adventures! Once funny scene was when Caddie's uncle played a joke on her and rigged the raft she was riding on fall apart so that she splashed into the water! This story has tender moments, heart-stopping moments, and everything in-between! Caddie Woodlawn is a likable book with likable characters all the way around! My daughter and I were listening to it together while we dusted her bedroom, and it was entertaining in a way that only the best books can be! Yes, this book is worth listening to! Ove is won over by the simple, blundering love and interest of a neighbor. What does George Newbern bring to the story that you wouldn’t experience if you just read the book? I love the voices he gives the characters! Even now, when I remember listening, I hear his voice when I think of Ove. 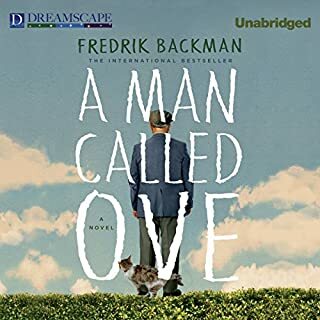 Those who have not yet met Ove should give this book a try! We all need to be reminded that things & people are not always as they seem at first glance...and that every life is precious.